Burned 1882. This image shows a German Lutheran Church on the corner of a dirt street. There is a wooden fence surrounding it and some buildings behind and to the side of it. 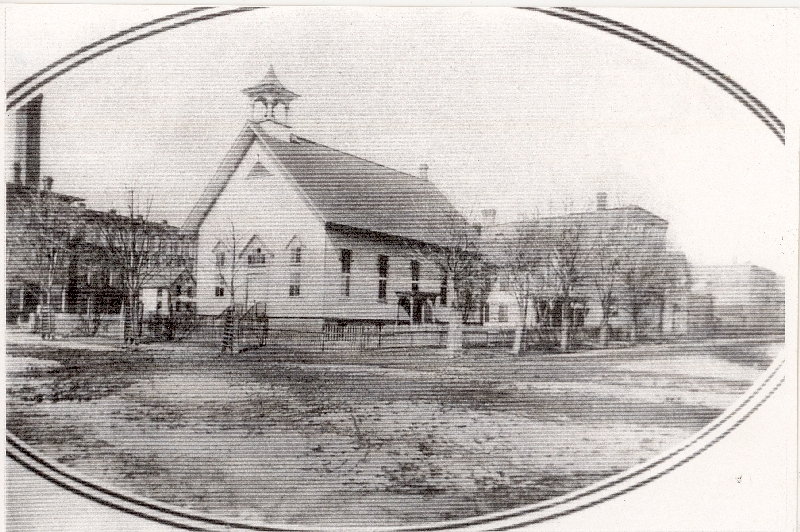 "German Lutheran Church," in Creating Holyoke, Item #81, http://creatingholyoke.org/items/show/81 (accessed April 18, 2019).